Thomas Bewick (1753-1828) began his career as an apprentice to the engraver and businessman Ralph Beilby (1743-1817). Having entered into a partnership and illustrated more than eighty small books for children, they decided to work together on this natural history, with Beilby drafting the descriptions and Bewick providing wood engravings and textual revisions. It was first published in 1790, cementing Bewick's reputation as an engraver of the natural world. Although by the end of 1797 the partnership had foundered, the book ran to seven editions and sold some 14,000 copies. Its aim was to describe and depict the domestic animals that 'so materially contribute to the strength, the wealth, and the happiness of this kingdom', and also provide entries on more exotic species, such as monkeys and big cats. 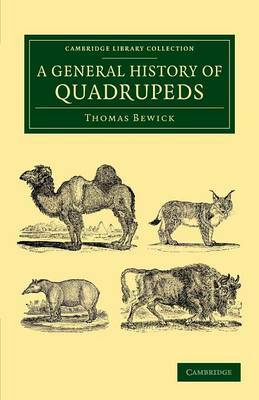 Beginning with horses and cattle, this reissue of the first edition also includes an index of animals.